Pinnacle Aquatics newest product release is the Siren. varieties, with each incorporating advances in wetsuit technology that have never been offered to scuba divers, and only come from Pinnacle. 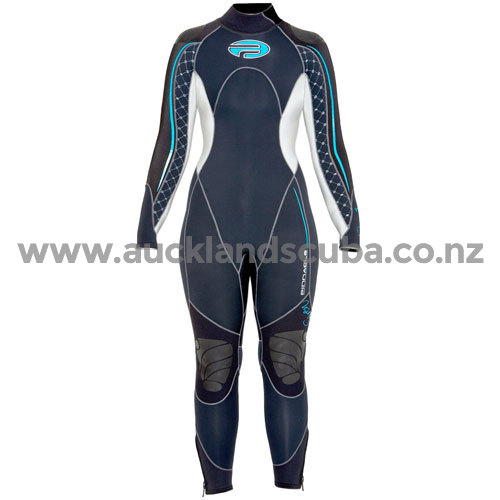 This suit offer a quantum leap forward in combining incredible flexibility and unsurpassed insulation capability. 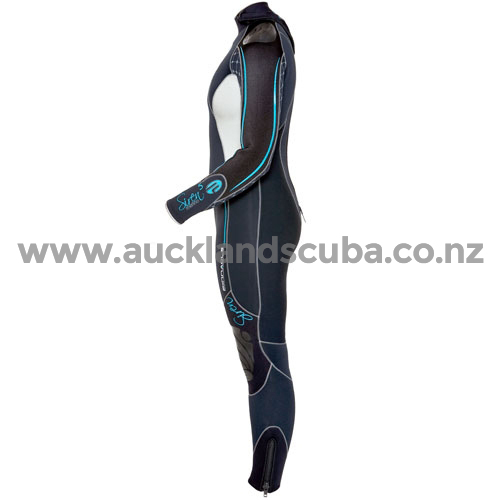 The Merino lined Siren are more comfortable than other suits, even in the 5mm and 7mm varieties. Yet they are warmer than any other suit that you've ever worn because of the overwhelming amount of features that are packed into these products, including Pinnacle's patented Merino lining system, which not only adds significant warmth without increasing bulk or buoyancy, but also promotes quick drying after a dive an d helps to reduce odors.